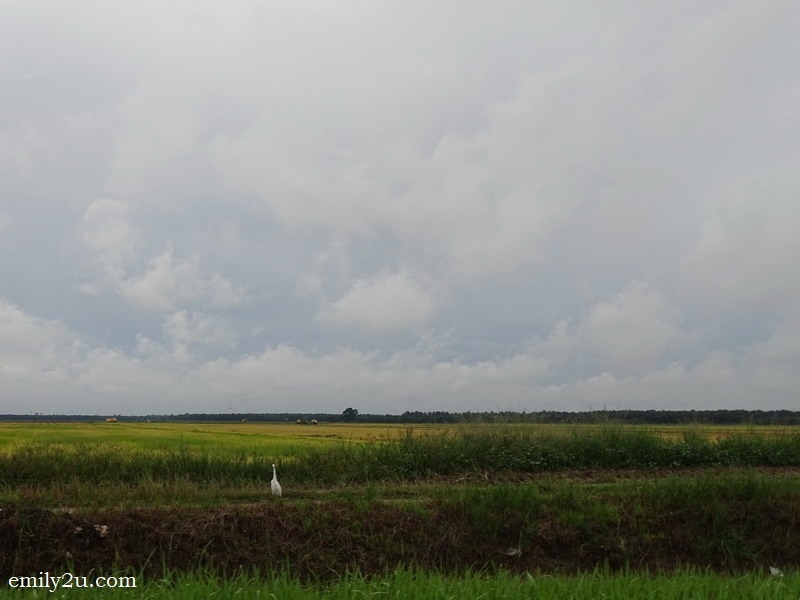 Rushing home to Ipoh under gloomy skies after a long road trip, we made time to stop by the paddy fields of Chui Chak, opposite the new village, to take some photos. A young family also had the same idea. It had been a rather dreary day due to persistent drizzle, but the golden colour brightened up our mood considerably. 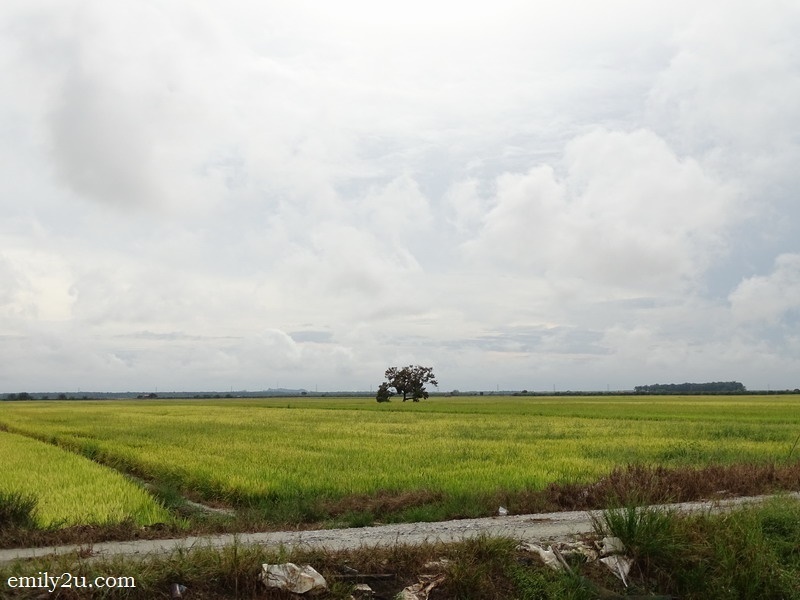 Having travelled by this road off and on, this was one of the rare times that the paddy was close to harvesting season. 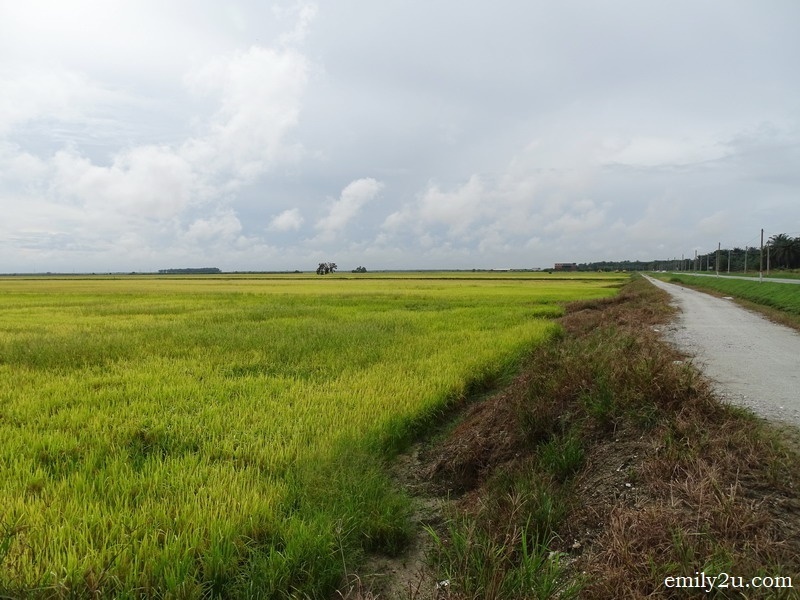 Of course, I just had to photograph this panoramic view, which reminded me of Sekinchan in Selangor. 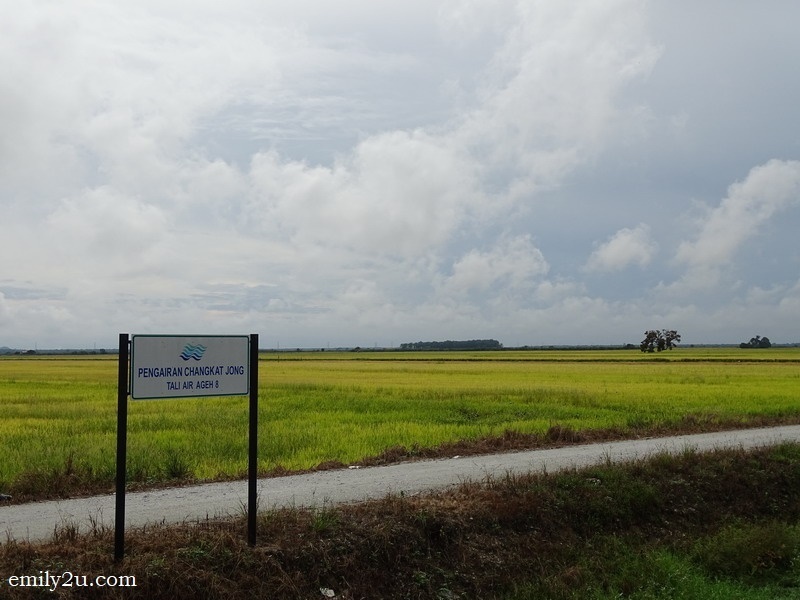 While the rice planting industry in Sekinchan has branched out to agro-tourism, the economy of Chui Chak, located in the District of Hilir Perak near Langkap town in Perak, is still very much purely agriculture. Indeed, it has a lot of potential to attract tourists, especially city folk. I can just imagine the mushrooming of hipster cafés, container hotels and Chui Chak’s own Ah Ma House. 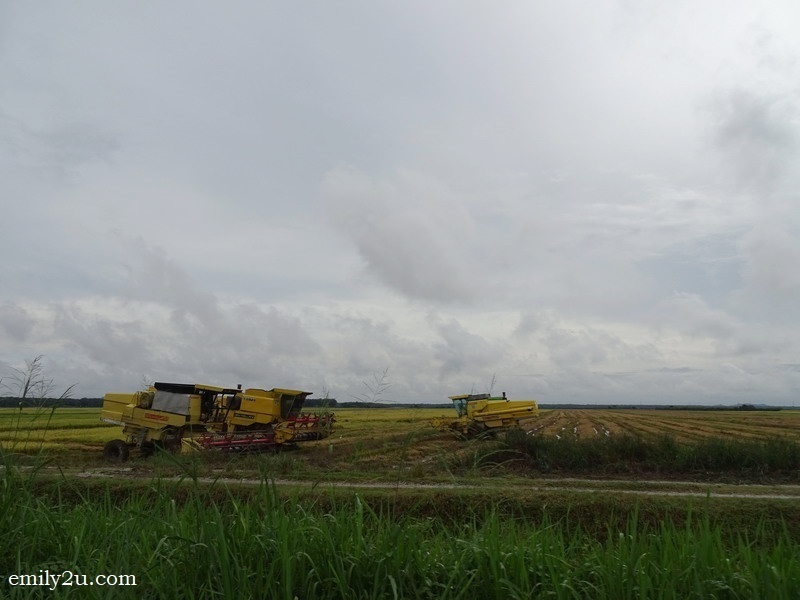 Chui Chak is after all the second largest paddy farming Chinese village in the country, after Sekinchan. The community here is primarily Chinese of Hakka descent, an industrious race. 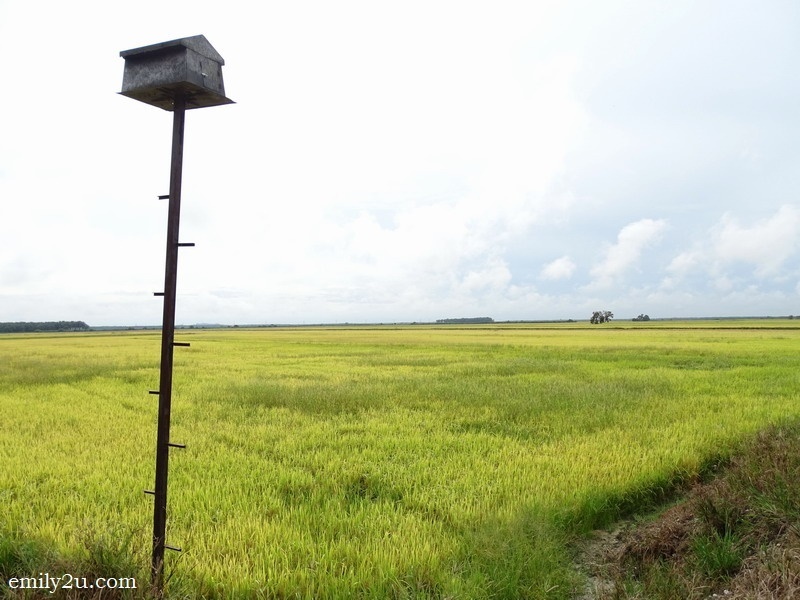 Rice farming is really not a walk in the park. 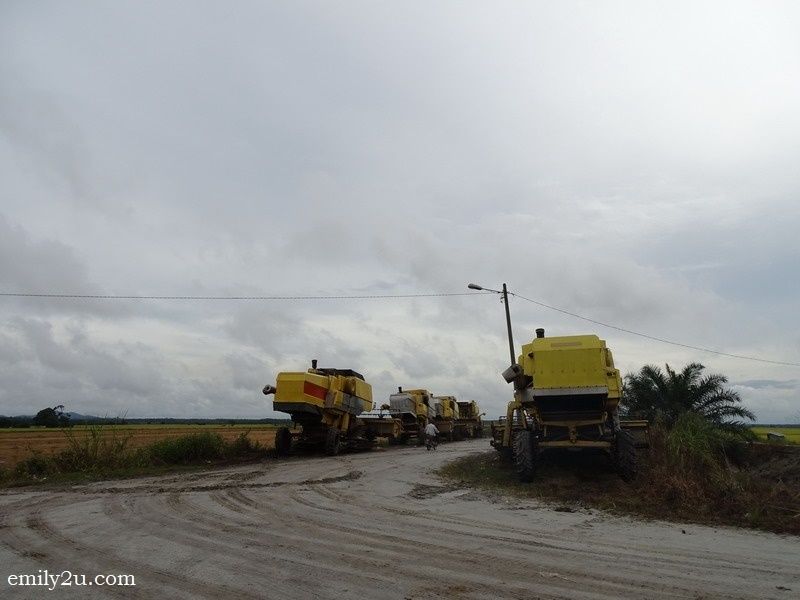 Toiling their paddy fields as early as 6am, they have moved on with technology and many combine harvesters were seen parked by the fields. 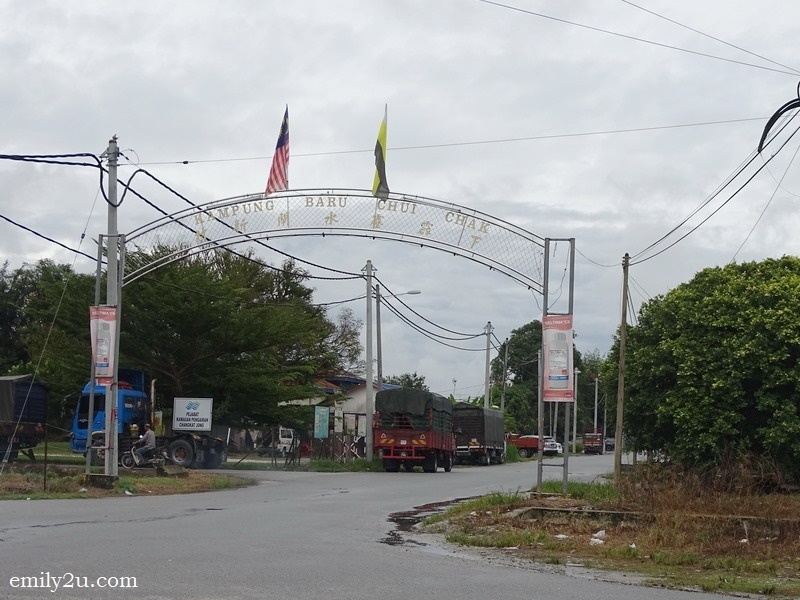 By the way, did you know that Chui Chak got its name from the Cantonese word which means “floodgate” of an irrigation canal? 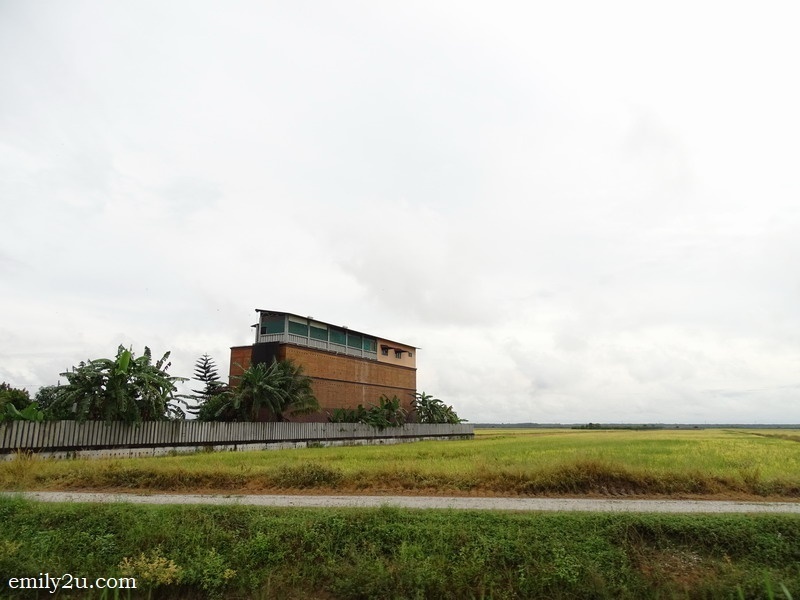 6 Responses for "The Golden Paddy Fields of Chui Chak, Perak"
The pictures certainly have great places to take pictures. 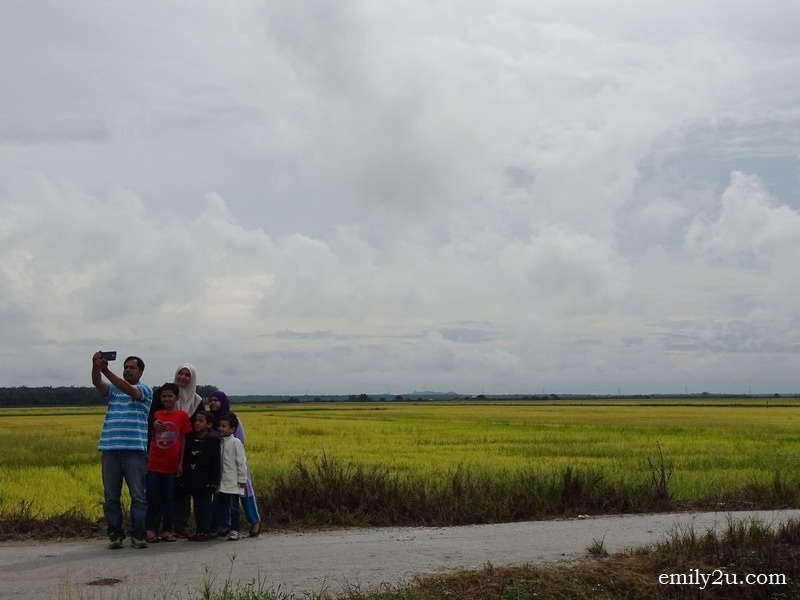 Some international students from UKM just came back from Sekinchan last week and they love their experiences there – food, cultural and the view! Nice paddy pictures here, it is like in province. The greenery scene makes a difference. Thanks for the great sharing..